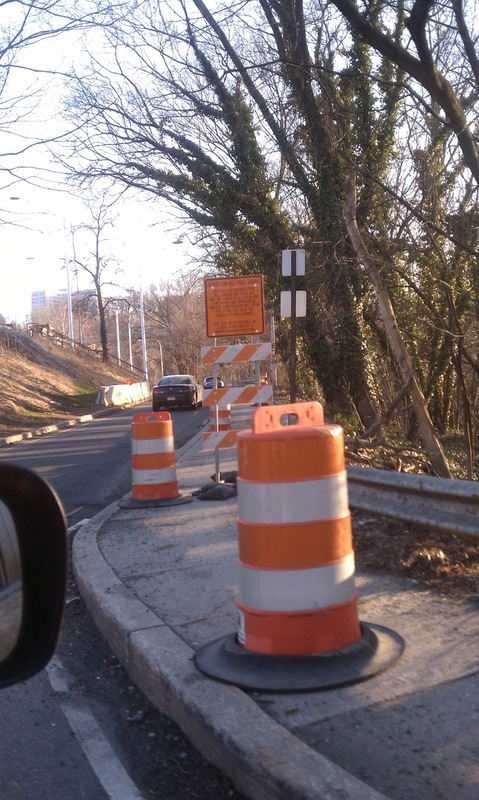 The trail between Falls Bridge and Ridge Avenue is now closed for re-construction. This stretch of multi-use trail will be widened, resurfaced and moved behind the parking lot. The Bicycle Coalition went out with flyers on Saturday, February 26, Tuesday, March 1 and will go out again tomorrow on March 3rd to let cyclists and runners know about the project and detour. The project is expected to finish by the end of June 2011. The construction company put barrels out on the path at the turn from Kelly to Ridge on Tuesday afternoon. 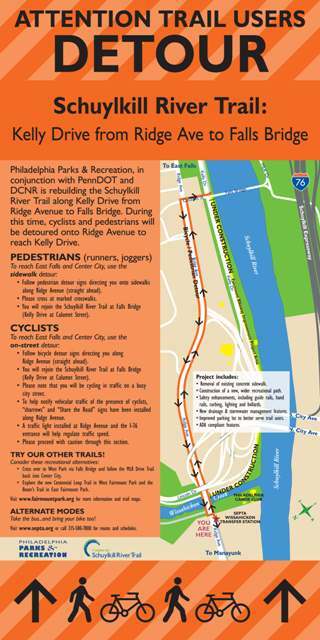 Those travelling between East Falls and Manayunk should use the signed detour along Calumet and Ridge Avenues. A formal groundbreaking with Mayor Nutter is scheduled for Monday, March 14th at 10am at Falls Bridge. All are welcome. Keep safe on the trail and detour!